we have a new Betty MacDonald fan club contest. Do you have any idea who these persons are. If so let us know please and you might be our next winner of some new Betty MacDonald fan club items. The new Betty MacDonald fan club research results regarding Dorita Hess are very exciting. That's excellent material for a movie. Anita's and Eartha Kitt's story about Betty MacDonald and her husbands is fascinating too. Thank you so much dear ladies for researching the best stories. Thanks a million dearest Letizia Mancino for sharing a new briliant Mr. Tigerli adventure with us. Betty MacDonald fan club and Mr. Tigerli fans from 5 continents are delighted. Do you have any caricatures of beloved Betty MacDonald? 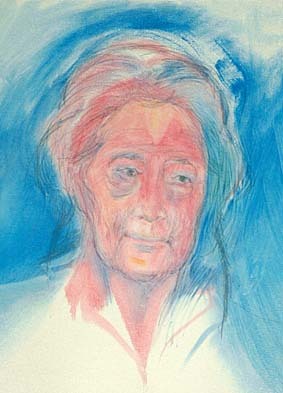 We are working on this subject ' Betty MacDonald in caricatures ' and are very grateful for your support. Don't miss Wolfgang Hampel's Vita Magica August with a very special writer and outstanding music, please. Thank you so much for sending so many wonderful Betty MacDonald quotes to us. Send us your favourite Betty MacDonald quote, please. You can find some of Betty MacDonald's most popular quotes below. In case you can't find your favourite Betty MacDonald quote in it, send us yours, please. You can win several new Betty MacDonald fan club items. 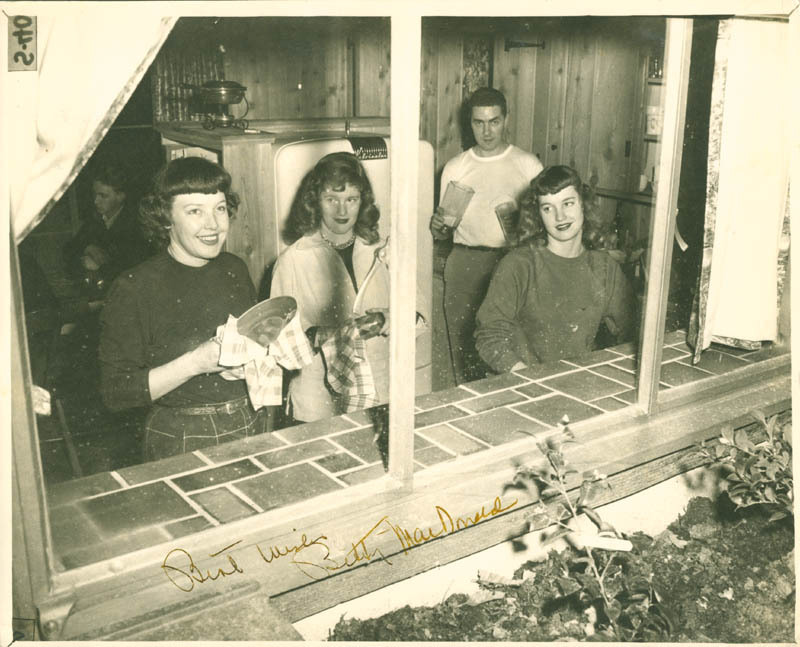 Betty MacDonald fan club organizer Linde Lund posted on Facebook about a possible Betty MacDonald fan club meeting on Betty MacDonald's magical Vashon Island. August was/is a very exciting month for many Betty MacDonald fan club fans from all over the world. We are going to present Betty MacDonald fan club book cover winner. Betty MacDonald fan club letter research team got some very interesting letters and documents some days ago. 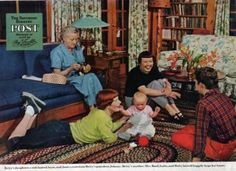 If you'd like to share some of your letters by Betty MacDonald, Mary Bard Jensen and other family members join our Betty MacDonald fan club letter research team, please. Betty MacDonald fan club letter research team got some very important letters by Betty MacDonald, Mary Bard Jensen and other family members. Betty MacDonald, her sister Mary Bard Jensen and the other family members wrote very witty and interesting letters. We got several new outstanding letters from Betty MacDonald fan club fans whose relatives had been in contact with Betty MacDonald and other family members. Thank you so much for your outstanding support. Betty MacDonald fan club event team is very happy to hear from you and they got some really great ideas for the next International event. Betty MacDonald fan club honor member Mr. Tigerli and our 'Italian Betty MacDonald' - Betty MacDonald fan club honor member author and artist Letizia Mancino belong to the most popular Betty MacDonald fan club teams in our history. Letizia Mancino's magical Betty MacDonald Gallery is a special gift for our Betty MacDonald fan club fans. Greta is going to share new info on her latest Betty MacDonald fan club project ' Betty MacDonald on Vashon Island '. We are looking for signed or dedicated first editions in great condition with dust jackets by Betty MacDonald and Mary Bard Jensen for our fans. 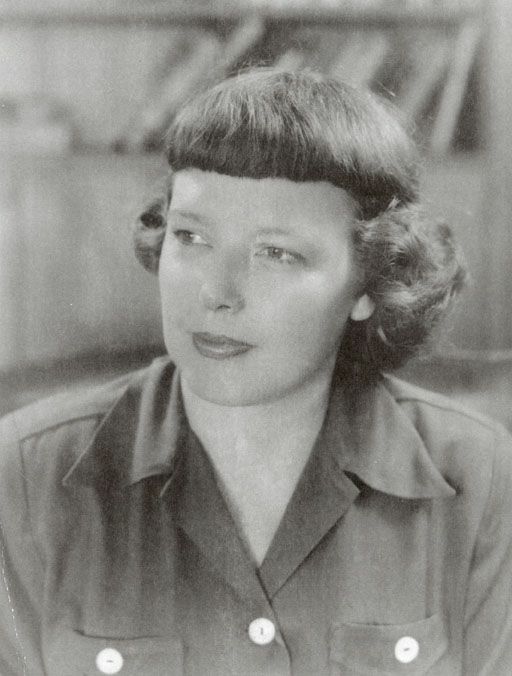 Betty MacDonald Memorial Award Winner Wolfgang Hampel and Betty MacDonald fan club research team are working on an updated Betty MacDonald biography and new Betty MacDonald documentary. Dearest new Betty MacDonald fan club fans you'll receive a very important message by Betty MacDonald fan club event team. This message includes a very nice Betty MacDonald fan club surprise and many info on our current Betty MacDonald fan club projects. 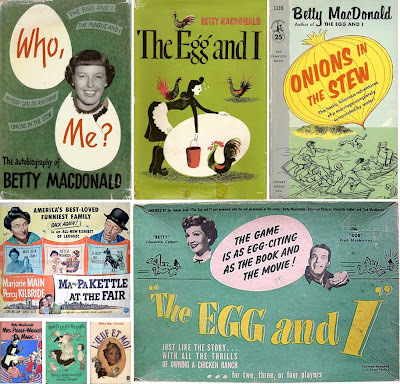 Join one of our Betty MacDonald fan club research teams, please. Thanks a million in advance for your outstanding support. Enjoy a new breakfast at the bookstore with Brad and Nick, please. Wolfgang Hampel and his famous guests had lots of fun and joy at Vita Magica July 2016. Betty MacDonald fan club honor member Thomas Bödigheimer did a great job. His voice and music are outstanding! Thank you so much dearest Thomas! Don't miss fascinating Vita Magica program August - December 2016, please. Vita Magica was celebrating its 1st anniversary. Jamie-Lee with Ghost got over 8 million views and more than 68.000 people like the song. This is our Betty MacDonald fan club ESC 2016 TOP 5 according to Betty MacDonald fan club ESC fans in 40 countries. I'd like to visit Betty MacDonald's very beautiful Vashon Island. The coffee was so strong it snarled as it lurched out of the pot. I am neither Christian enough nor charitable enough to like anybody just because he is alive and breathing. I want people to interest or amuse me. I want them fascinating and witty or so dul as to be different. I want them either intellectually stimulating or wonderfully corny; perfectly charming or hundred percent stinker. I like my chosen companions to be distinguishable from the undulating masses and I don't care how. Her magic formula for dealing with children is ignoring all faults and accenting tiny virtues. She says, "Instead of telling Tommy day in and day out that he is the naughtiest boy in the United States of America, which could very well be true, take an aspirin and comment on his neatly tied shoes. Almost anybody would rather be known for expert shoe-tying than for kicking the cat." She always tells whiners how charming they are--bullies how brave--bad sports how good--sneaks how honest! In the country Sunday is the day on which you do exactly as much work as you do on other days but feel guilty all the time you are doing it because Sunday is a day of rest. I'll do it because I want to but not because you tell me to! In the country, weather is as important as food and sometimes means the difference between life and death. a grudge will soon rot the pocket you carry it in. Dare we face the question of just how much of the darkness around us is of our own making? Don't miss this very special book, please. Linde Lund shared Pictures of Heidelberg's photo. Dawid Brueckner It´s a beautiful reconstruction. Thank you Linde . Bernd Kunze we will be there, one year vita magica, congratulations Wolfgang Hampel and Rita Kocher. Rita Knobel Ulrich - Islam in Germany - a very interesting ZDF ( 2nd German Television ) documentary with English subtitles. Yes Betty, either or it seems he wanted to fly only with Singapore Airways. Boeing or Airbus, it’s just the same isn’t it? Aren’t they both just fat birds with 500 passengers? Yes, but Singapore Airlines has the most beautiful airhostesses: delicate, fine, graceful… Mr. Tigerli had looked forward to the flight so much! So the little man was disappointed? You just can’t imagine how disappointed he was. But thank God one of the hostesses was a pretty Chinese girl. Mr. Tigerli purred loudly but she didn’t hear him because the purring of the Airbus 380 was even louder. You’ve said it Betty. Mr. Tigerli was in a very bad mood and asked me for a loud speaker. I’m sure you can get one in 1stClass. “”Russian Girl” had even heard you over the roar of the Niagara Falls” I said to Mr. Tigerli. “You are a very unfaithful cat. You wanted to get to know Asiatic girls. That’s how it is when one leaves one’s first love”. “Men are hunters” was his answer. Yes, my dear cat, a mouse hunter. And what else did he say? Not another word. He behaved as if he hadn’t heard me. The Airbus is very loud. I told him shortly “Don’t trouble yourself about “Chinese Girl”. There will be enough even prettier girls in China. Wait till we land in Guilin”. Naturally Mr. Tigerli understood me immediately. Yes, sweetheart, don’t worry. They will find you something sweet to eat. No problem going through the immigration control? Naturally! Lots of problems. How could I explain to customs that the cat had come as a tourist to China to buy shoes? Don’t be so cynical Betty! Cat meat in exchange for shoes? I said to the officials. He isn’t a cat, he is Casanova. He came through the pass control with no trouble! Betty MacDonald's Vashon Island is a paradise. Take an illustrated day trip through Washington state’s largest city with artist Candace Rose Rardon. Linda White yes,if my health allows.I have a few problems but is something I have always wanted to do,especially as I reread her books. Linde Lund Dear Linda I'll keep you posted. 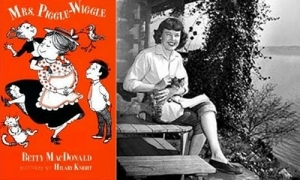 I still read Mrs Piggle Wiggle books to this day. I love her farm on vashon. Report "Betty MacDonald, a photo and new exciting research results "